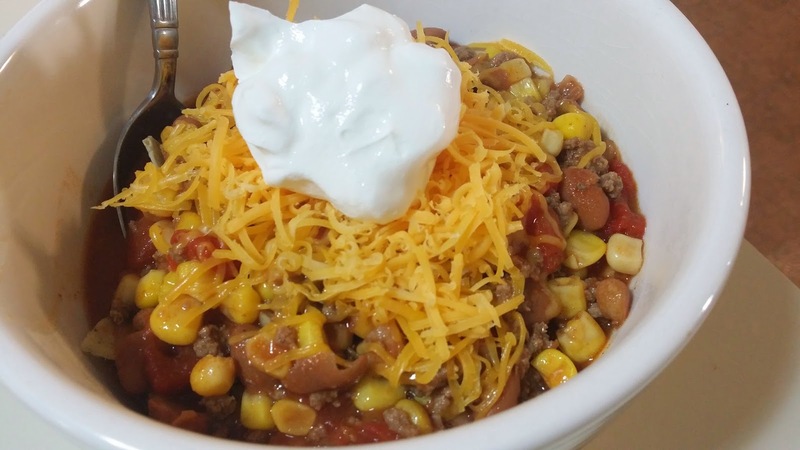 I often forget about Taco Soup when it comes time for menu planning. I've never tried turning it into a freezer meal until recently. 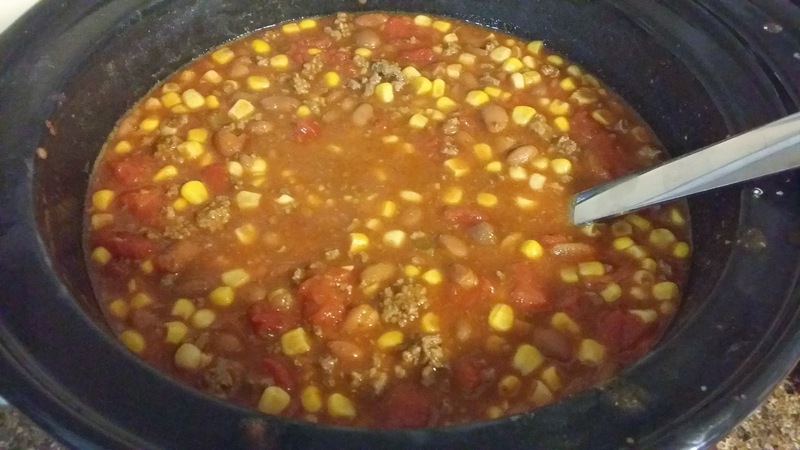 We were having tacos for dinner so I doubled the meat and set half of it aside for my Taco Soup freezer meal. It. Was. Awesome. It took less than 5 minutes to assemble and get into the freezer. Also, we used "low sodium" versions of the seasoning, corn, and tomatoes. 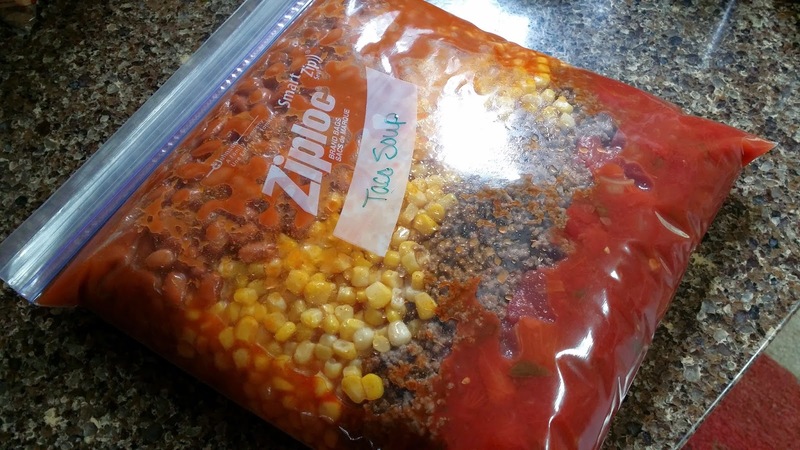 In a labeled gallon-sized Ziploc bag, layer the beef, seasoning, corn, beans, and tomatoes (no particular order). Seal and freeze flat. The night before you plan on cooking it, move to fridge to thaw. Pour into slow cooker and cook on low for 4-6 hours. Serve over crush tortilla chips. Top with shredded cheese and sour cream. What do you use for the liquid part of the soup? Broth? or nothing?